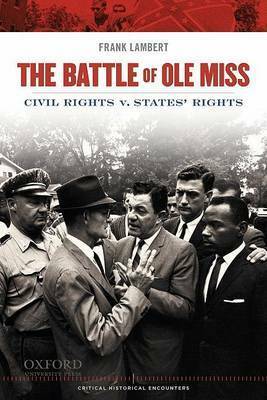 James Meredith broke the color barrier in 1962 as the first African American student at Ole Miss. The violent riot that followed would be one of the most deadly clashes of the civil rights era, seriously wounding scores of U.S. Marshals and killing two civilians, and forcing the federal government to send thousands of soldiers to restore the peace. Frank Lambert is Professor of History at Purdue University.